A guide for all ages and abilities with clear instructions and hundreds of photos. 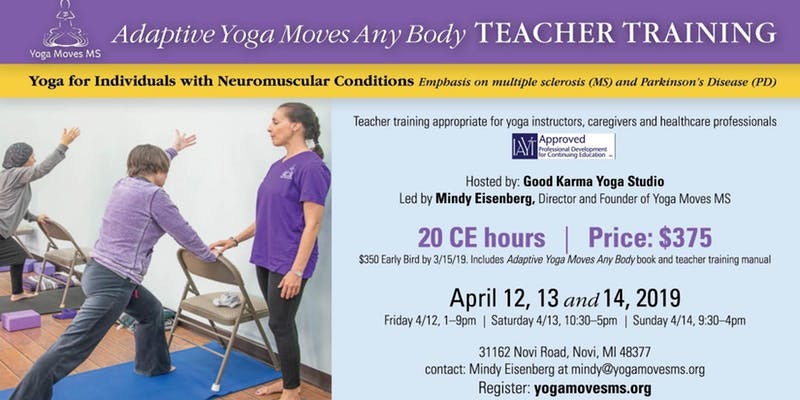 Proceeds go to Yoga Moves MS, a non-pro t, 501(c) (3) organization dedicated to providing therapeutic yoga for individuals with MS and neuromuscular conditions. Essential components to an effective small group adaptive yoga classes How to safely address and assist with transfers to and from a chair and yoga mat. How to assist adaptive students creatively and safely in and through asana. Lessons learned from experienced instructors. Competencies of an effective adaptive yoga instructor. How to create an empowering class that allows students to move outside of their perceived physical and mental boundaries. Practical experience during training. Creative, empowering and playful environment to explore adapting yoga poses. 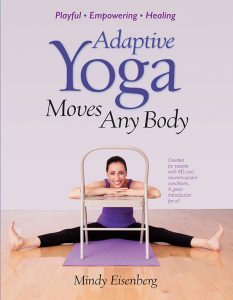 The ability to look through the lense of the adaptive yoga student. 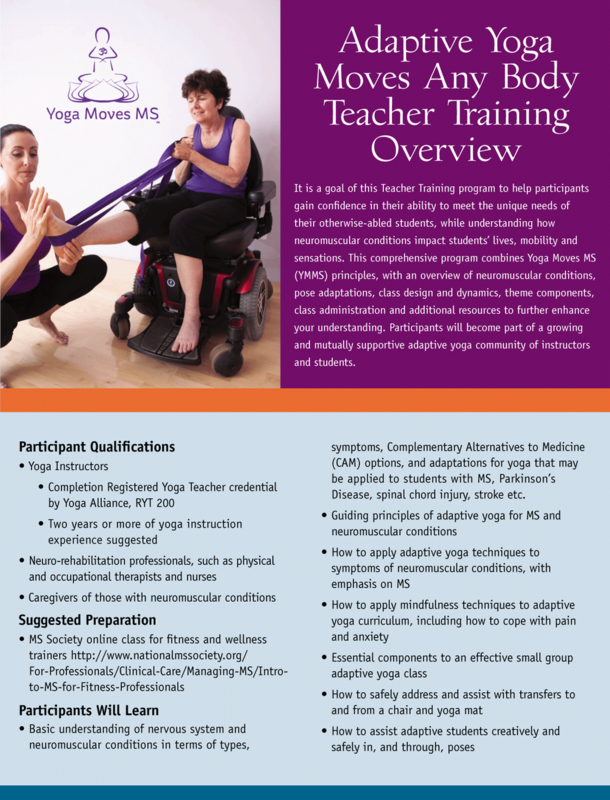 Increased confidence to teach adaptive yoga. Hands-on teaching and assisting practice with peers. Students with neuromuscular conditions will be present during training. 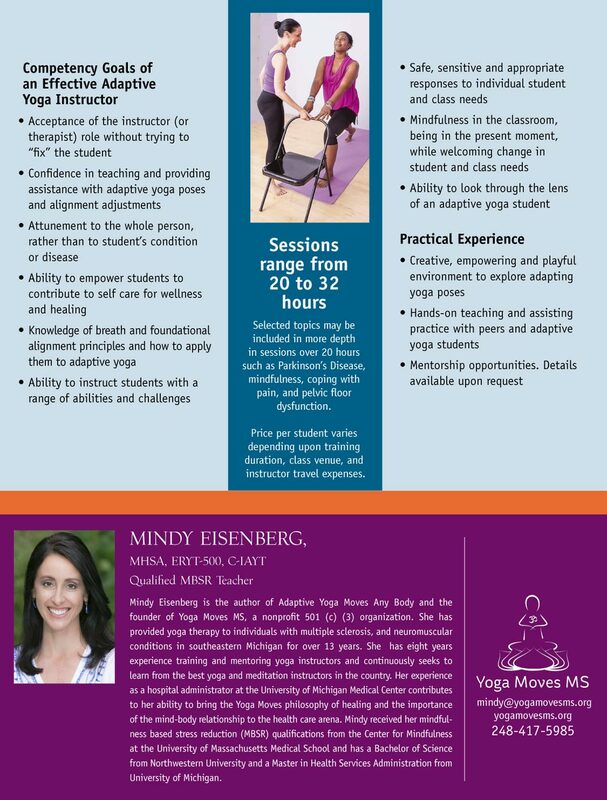 Please contact mindy@yogamovesms.org if you would like to be notified of future dates.